Hip and thigh muscles, computer artwork. 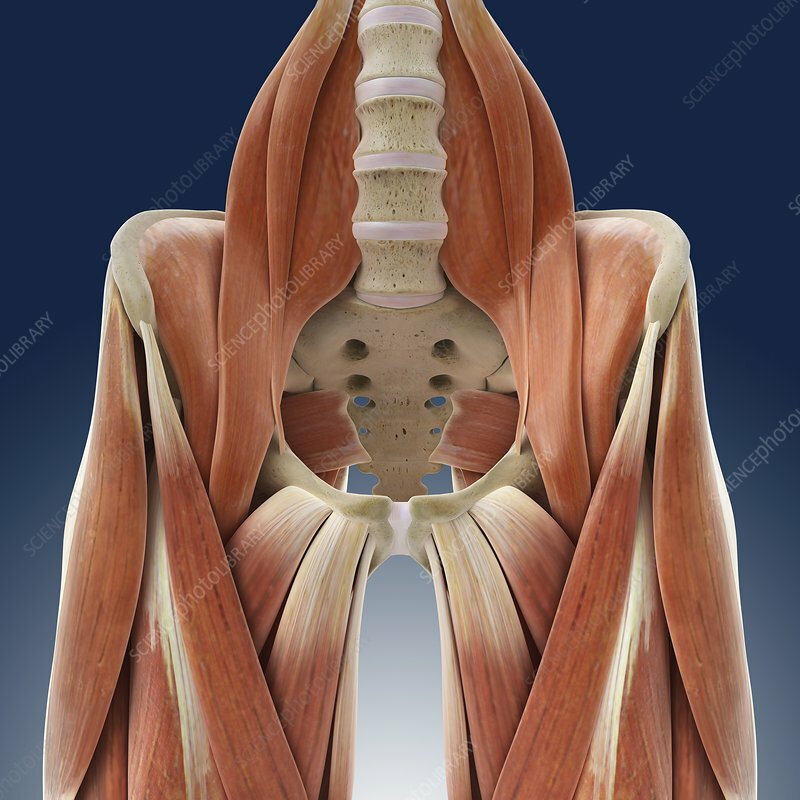 At top are the inner hip muscles, the iliopsoas. The psoas major muscles attach to the transverse processes (not seen) of the lumbar (lower) spine vertebrae and the femur (thigh bone). Lying on top of the psoas majors are the narrow psoas minor muscles. The iliacus muscles attach to the ilium (ear-shaped hip bone) and the femur. These are the strongest of the hip flexor muscles; the muscles that act to pull the knee upwards. At bottom the outside muscles are the tensor fascia lataes, with the sartorius, the longest muscle in the body, inside them. The muscles joined to the bottom of the pelvis are the quadriceps muscles. All these muscles act to extend the knee and flex the hip.